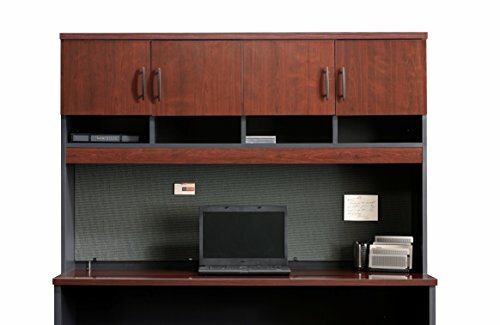 Attaches to Credenza 401448 Hidden storage behind doors Cubbyhole storage areas provide additional storage Fabric-covered bulletin board Classic Cherry finish with Soft Black accents. Specifications: Dimensions: 59.5" (151.0cm) H x 14.5" (36.8cm) W x 39" (99.0cm) D Weight: 166.648 lbs. W: 59.449" X D: 14.488" X H: 38.976"